certified CCNP, I was asked to join the show. I enjoyed the recording and I think we made a pretty good episode. 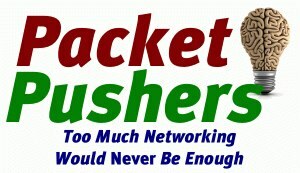 If you are interested in the CCNP or want to hear me blow Jeremy Cioara’s paradigm and talk about a Cisco exam that is actually fun, check out Packet Pushers episode 114.